Japan's 5G spectrum issuance and requires operators to fully cover 5G networks within two years, and the US accelerates 5G deployment, which is expected to boost overseas 5G acceleration. Domestic 5G continued to advance, Beijing opened the first 5G mobile phone call, Guangzhou realized 4G-5G mobile phone call, operators started 5G research, test mobile phone, network excellent and other 5G pre-project bidding, we believe that domestic 5G network construction bidding is expected to start , pay attention to the operator bidding process. As of the close of April 12, the overall forecast for the quarterly report of the communications industry has been mixed. We believe that we should still focus on the core varieties of the communications industry and look for targets with performance flexibility and thematic highlights. Highly recommentedStar network Ruijie,ZTE,High emerging,Halo New NetworkEtc;Ziguang Guowei,Hainengda,Jin Xinnuo,Guangxun Technology,Bonfire communicationWait. According to C114, on April 10, the Japanese government approved plans for NTTDocomo, KDDI, Softbank and Lotte to build a 5G wireless network, and requested to build a 5G network covering Japan throughout the country within two years. According to CNBC, on April 12, US President Trump and the Federal Communications Commission (FCC) announced several plans to accelerate 5G deployment. Trump said: "The 5G competition has already begun, and the United States must win." The FCC announced that it will conduct "the largest spectrum auction in history" from December 10 this year, allowing operators to bid for new frequency bands of 3400MHz at 37GHz, 39GHz and 47GHz. Overseas countries represented by Japan and the United States have shown a more positive attitude towards 5G construction and are expected to accelerate overseas 5G acceleration. Domestic 5G continues to advance. According to C114 report, on April 12, China Mobile successfully opened the first 5G phone through 5G mobile phone on Beijing 5G test network. On April 12th, Guangzhou Mobile teamed up with ZTE and Ericsson to open the VoLTE voice and video phone of 4G and non-independent network (NSA) 5G mobile phones. The tender for the domestic 5G pre-project was gradually started. According to C114 report, on April 11, China Mobile released the 2019 industry demand survey and product research project procurement tender for 2019. On April 12, Jiangsu Mobile launched the 2019 5G test mobile phone collection and inquiry. On April 10th, C114 reported that the tender for Beijing Unicom's mobile network optimization service project was launched in 2019, including nine 5G grid units. We believe that the domestic 5G network construction bidding is expected to start one after another, paying attention to the operator bidding process. 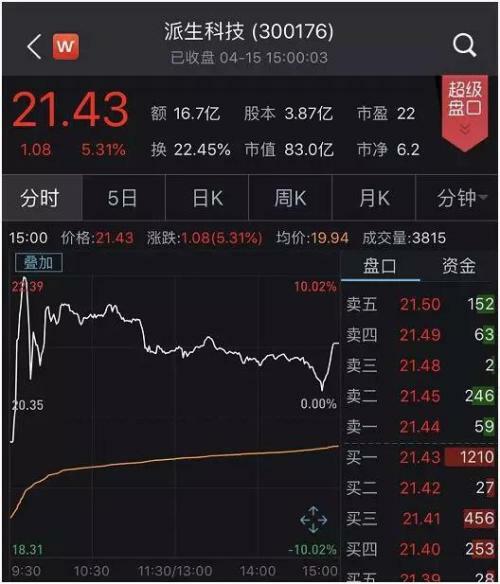 As of the close of April 12, the communication (Shenwan) listed company reported more than half of the results of the first quarter report, which was mixed in general. The year-on-year growth rate of the net profit (average of the upper and lower limits) increased by 40% year-on-year and 41% quarter-on-quarter. . In addition, from the statistics of market value classification, the proportion of companies with 19Q1 net profit pre-increased in companies with large market capitalization is relatively high. We believe that we should still focus on the core varieties of the communications industry, while looking for targets with performance flexibility and thematic highlights. Highlighted Star Network Ruijie (Q1 pre-loss, first quarter revenue accounted for a small proportion of the whole year), ZTE (Q1 pre-increased 115~122%), high emerging (Q1 pre-increased 12~20%), Halo new network (Q1 Pre-increase 30~52%); it is recommended to pay attention to Ziguang Guowei, Hainengda, Jinxinnuo, Guangxun Technology, and Fenghuo Communication. Risk warning: Sino-US trade friction escalates; 5G development process is less than expected. Japan's 5G spectrum issuance and requires operators to fully cover 5G networks within two years, and the US accelerates 5G deployment, which is expected to boost overseas 5G acceleration. Domestic 5G continued to advance, Beijing opened the first 5G mobile phone call, Guangzhou realized 4G-5G mobile phone call, operators started 5G research, test mobile phone, network excellent and other 5G pre-project bidding, we believe that domestic 5G network construction bidding is expected to start , pay attention to the operator bidding process. As of the close of April 12, the overall forecast for the quarterly report of the communications industry has been mixed. We believe that we should still focus on the core varieties of the communications industry and look for targets with performance flexibility and thematic highlights. It is recommended to focus on Star Network Ruijie, ZTE, Gaoxing, Halo New Network, etc. ; it is recommended to pay attention to Ziguang Guowei, Hainengda, Jinxinnuo, Guangxun Technology, Fiberhome Communications, etc. According to C114, on April 10, the Japanese government approved plans for the construction of 5G wireless networks by four mobile operators NTTDocomo, KDDI, Softbank and Rakuten, and asked them to build 5G covering the whole of Japan within two years. The internet. The Ministry of Internal Affairs and Communications also divided Japan into 4,500 blocks, requiring operators to build base stations in at least half of them within five years. Four mobile operators in Japan are planning to start commercial 5G services in 2020. In addition, according to C114 statistics, the 5G spectrum obtained by four Japanese operators is: NTTDocomo is 28GHz400M, 4.5GHz100M, 3.7GHz100M, total 600MHz; KDDI is 28GHz400M, 3.7GHz100M*2, total 600MHz; Softbank is 28GHz400M, 3.7 GHz100M, a total of 500MHz; Rakuten won 28GHz400M, 3.7GHz100M, a total of 500MHz. According to CNBC, on April 12, local time, US President Trump and the Federal Communications Commission (FCC) announced several plans to accelerate the deployment of 5G in the United States. Trump said: "The 5G competition has begun and the United States must win." Trump pointed out that by the end of this year, 92 US 5G cities will be ready to surpass the 48 cities in South Korea. Trump said: "This is a competition with great American companies. It is estimated that the wireless industry plans to invest 275 billion US dollars on the 5G network, quickly create 3 million jobs for the US, and increase 500 billion for our economy. Dollar power." Trump also stated that the United States should not nationalize its 5G network, and private companies should quickly take action to deploy faster next-generation networks. When Trump made the above remarks, the FCC also announced that from December 10 this year, the FCC will conduct "the largest spectrum auction in the history of the United States", allowing operators to bid for the new 3400MHz frequency band at 37GHz, 39GHz and 47GHz. The FCC said that the new spectrum will "promote the development of 5G, the Internet of Things and other advanced spectrum services." It is reported that since November last year, the FCC has auctioned 1550 MHz of spectrum for commercial wireless operators to use for 5G connections. In addition, the FCC has introduced new regulations that allow “fixed satellite service operators to use the 50 GHz band to provide customers with faster, more advanced services”. FCC Chairman Ajit? AjitPai also said it plans to invest $20.4 billion over the next 10 years to build high-speed broadband networks in rural areas of the United States. The goal of the Rural Digital Opportunity Fund is to provide back-end auctions to service providers that cannot access high-speed service areas and to connect up to 4 million rural homes and small businesses to high-speed broadband networks. We believe that overseas countries represented by Japan and the United States have shown a more positive attitude towards 5G construction than before, and are expected to promote overseas 5G acceleration. Beijing connected the first 5G mobile phone.According to C114 report, on April 12, China Mobile successfully opened the first 5G phone through 5G mobile phone on Beijing 5G test network. The call uses the NSA core network and IMS network upgraded on the 4G live network to realize the call between 5G mobile phones without changing the card and changing the number. The 5G voice call has clear voice quality. On the evening of April 9, China Mobile Beijing Company completed the upgrade of the NSA version of the core network equipment. After the upgrade, the core network and IMS network have 5G functions, fully support the access of 5G terminals, and successfully dialed China Mobile Beijing on April 12. The first 5G phone. Guangzhou mobile industry is the first to open high-definition voice and video calls for 5G and 4G mobile phones.On April 12th, C114 reported that Guangzhou Mobile, together with ZTE and Ericsson, took the lead in opening up VoLTE voice and video phones for 5G mobile phones and 4G mobile phones, which marked an important step forward for the commercialization of 5G networks and mobile terminals. Previous related tests were conducted between 5G mobile phones and carried by the test network. The test uses non-independent networking (NSA) heterogeneous 5G networks and existing 4G commercial networks to use ZTE 5G mobile phones and 4G mobile phones for VoLTE voice and video calls, as well as stable traffic downloads. Meet commercial needs. Unicom landed the first 5G smart medical application demonstration base in Shanghai.According to C114 report on April 11, the unveiling ceremony of the first 5G smart medical application demonstration base in Shanghai and the ultra-high-definition surgery of the neurosurgery of Huashan Hospital affiliated to Fudan University were held in Unicom Building. All the audience at the scene witnessed a live broadcast of 5G HD surgery and real-time remote surgery instructions. Mr. Shen Ke, deputy general manager of Shanghai Unicom pointed out that at present, the application of 5G in the medical industry is more reflected in the upgrade of existing services, giving full play to the 5G large bandwidth, low latency, and network slicing capabilities to enhance the service experience. With the coverage of 5G networks, the maturity of the industry chain, and the in-depth understanding of medical services, the 5G environment will bring new medical services, new business models and a new ecosystem. Operators have started bidding for 5G research, 5G test mobile phones, 5G network and other preliminary projects. China Mobile initiated research and tenders for 5G industry demand, business model, and resale business.According to C114 report, on April 11, China Mobile released the 2019 industry demand survey and product research project procurement tender for 2019. The China Mobile plans to purchase a consulting company to conduct research and research on 5G industry market demand, 5G product system and business model, 5G key capability requirements, and 5G resale business strategy. The consulting company is required to understand the characteristics of 5G network and the vertical industry market. Information needs. Jiangsu Mobile launched the 2019 5G test mobile phone collection and inquiry.According to C114 report, on April 12, Jiangsu Mobile released the 2019 5G test mobile phone collection and inquiry announcement, and purchased 5 mobile phones, namely Huawei MATE20X (5G mobile phone), ZTE AXON10Pro (5G mobile phone), vivo5G mobile phone and OPPO5G mobile phone. , Xiaomi 5G mobile phone, a total of 183 mobile phones, the amount of 1.83 million yuan. Beijing Unicom's 2019 mobile network optimization service bidding opens. On April 10th, C114 reported that in 2019, the bidding for Beijing Unicom's mobile network optimization service project was started. Due to the insufficient number of optimized personnel, it is necessary to purchase third-party optimization personnel to supplement. 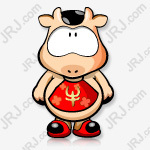 The budget of the bidding project is 77,219,900 yuan (excluding tax). From the content of mobile network optimization, the Beijing Unicom optimization covers the entire Beijing area, mainly focusing on the optimization of WCDMA/LTE/NB/5G networks, including 50. One WCDMA/LTE grid unit; 10 NB grid units; 9 5G grid units. On April 12th, C114 reported that at the 5GMENA forum held in Dubai, ZTE won the “Best Telecom Digital Transformation” award for the 5G core network evolution solution (Africa). The 5GMENA Forum is the largest telecommunications industry event in the Middle East and North Africa. This is the first time ZTE has participated in the forum. According to C114, ZTE is helping to transform the African network in Lesotho in southern Africa. In September 2018, ZTE launched the transformation of the existing network and provided the end-to-end E9000+TECS UDC/PS/CS/IMS/IN solution to the local operator Econet Lesotho to virtualize the mobile core network. The solid-network NGN is fixed and transformed. It is reported that ZTE completed the whole network delivery of the core network +IN+BSS in three months, and completed the cutover of all mobile core networks on the existing network in one night. After delivery, the existing network runs smoothly. After the completion of the network transformation, the customer 3G and 4G users continued to grow substantially, and ZTE was already required to provide two phases of disaster recovery site planning and expansion plans. According to IDC News, on April 10th, Tencent's Beijing University, Tencent (Ixia), Rosenberg, and many well-known optical module manufacturers jointly organized the "400G optical module interconnection and networking performance test" in Tencent Beijing Held, the 400G optical module interconnection performance test involves SR8, SR4.2, DR4, FR4 and other types, covering 100m~10km, including the industry's most advanced silicon optical module products, provided by Cisco 32-port 400G switch, Keysight (Ixia) provides 8-port 400G test instrument. Rosenberger provides a full range of high-density connectors. It is the first 400G interoperability performance of the largest, highest specification and most comprehensive coverage of 400G switches in China. test. Dr. Sun Min, senior optical interconnect architect of Tencent, said: "This test is essentially a testing of 400G products." He said that from this test, both switches and module products can provide high-performance products. Still less. In addition, according to the online understanding of optical fiber, Tencent has already planned for the introduction of 400G, but the specific introduction time still depends on the needs of the business, the maturity of the industrial chain and the cost of a single bit. After the test is completed, Tencent will begin preparations for the development of its own 400G optical module specifications and interface types, and plans to conduct at least another 400G mature solution test during the year. As of the close of April 12, 2019, 58 of the 107 listed companies (excluding B shares) of Communications (Shenwan) disclosed a quarterly report. Among the 58 listed companies, 21 in the first quarter of 2019 reported that the average of the upper and lower growth rates of net profit growth exceeded 30%, of which 18 were over 50%. There were 24 companies that fell more than 30% year-on-year, of which 16 were over (excluding) 50%. The median value of the average of the upper and lower limits of the year-on-year growth rate of 58 companies in the first quarter of 2019 is 0.73%, with an average of 0.97%. Overall, the communications industry's performance in the first quarter of 2019 was mixed. Compared with the growth rate of net profit in the first quarter of 2018, among the 58 companies that have disclosed the forecast for the first quarter, the average of the upper and lower growth rates of net profit growth is greater than or equal to the growth rate of the same period of the previous year, accounting for about 40%. Compared with the net profit growth rate in the fourth quarter of 2018 (the fourth quarter net profit was calculated based on the 2018 performance report data of the annual report), the net profit growth rate of the 58 companies that disclosed the first quarter report The average of the upper and lower limits is greater than or equal to the growth rate of the previous quarter, accounting for about 41%. In addition, from the perspective of the company's market value classification and statistics, the proportion of companies with larger market capitalization in the 2019 quarterly forecast net profit (median upper and lower limits) is relatively high. Specifically, companies with market capitalization of less than 3 billion yuan accounted for 38% of pre-increased companies; companies with market capitalization of 3 billion to 5 billion yuan pre-increased the proportion of companies 33%; and the market value of 50-100 billion yuan pre-increased 70%. The pre-increasing ratio of companies with a market value greater than (equal to) 10 billion yuan is 54%. At the same time, as of the close of April 12, 2019, 83 of the 107 listed companies (excluding B shares) of Communications (Shenwan) disclosed the 2018 annual report or performance report. Among them, 49 net profit increased year-on-year, accounting for 59%, and 28 of the 49 companies grew by more than 30% year-on-year; 34 of them decreased year-on-year, accounting for 41% of the total, of which There were 24 declines of more than 30%. We believe that we should still focus on the core varieties of the communications industry, while looking for targets with performance flexibility and thematic highlights. 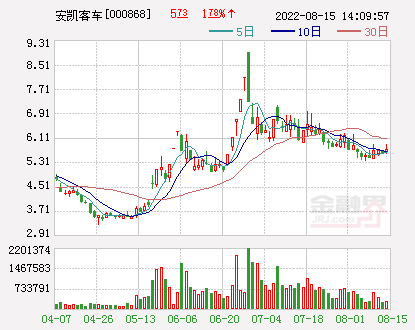 Highlighted Star Network Ruijie (Q1 net profit pre-loss - 1500 ~ -5 million yuan, the same period last year -668 million yuan, the first quarter revenue accounted for a small proportion of the whole year), ZTE (Q1 net profit pre-increased 115 ~ 122% ), Gao Xinxing (Q1 pre-increased 12~20%), Halo New Network (Q1 pre-increased 30~52%), etc. ; it is recommended to pay attention to Ziguang Guowei, Hainengda, Jinxinnuo, Guangxun Technology, Fenghuo Communication, etc. If the Sino-US trade friction escalates, it will affect the cross-border cooperation of the cloud computing industry, thus affecting the market expansion and development process of China's cloud computing enterprises; or it will affect the development of China's communications equipment industry. If the 5G development process is less than expected, the revenue of the 5G industry chain related companies will not be as expected.